Edie here. Today I'm thrilled to introduce you to another regular contributor. 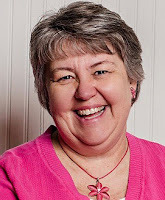 In addition to be a good friend, Tammy Karasek is an experienced editor and writer. Her insight and humor are a huge blessing in my life and I know she will bless you as well! There are times as a writer that we can feel at a total loss for words. Have you experienced this? As a lover of words, this can make us wonder or doubt if we are in the correct field. We want to write, but we sit in silence. If I’m a writer, why can’t I find the words I want to say? In those times where we have the lack of words, we can learn to use this quietness for our good. Often as writers our thoughts race faster than our fingers can tap on the keys or write with pens. But when the words seem to elude us—no matter how much we stare at the blinking cursor—we can become impatient and frustrated. We can yell out a groan or huff loudly as if that will dump words back into our brain. Just me? What if we re-train ourselves to appreciate the silence? What if we learn to use that time as a great opportunity to stretch ourselves as writers? Take the opportunity to grab a study Bible, journal and pen and find a new spot to sit for a bit. Pick a word. Use either a word in your current work in progress or one on your mind. Start in the concordance and see if it’s there. If so, then follow it and all the marginal notes on a fabulous rabbit trail of study. If the exact word isn’t there, find a similar word and do the same. Often digging through scripture will get the mind processing. Go for a quick walk to get some fresh air. Changing the scenery from your same four walls can often jolt a new idea. And the body stretch is a great thing for a writer who tends to sit most of the day for his or her job. My last suggestion is one I’ve used a lot lately. Take a moment to do what I call Get Prone before the Throne. I turn off any noise and lie down on the floor in my office. Then I pour it all out to God. I tell Him that I’m stuck, and tell Him of the doubts and negative thoughts that Satan is trying to overrun my thinking process with. And if I’m honest, there just may be a little tantrum action from time to time to blow off frustration steam! Did it ever occur to us that having writer’s block might be a little nudge from God? It may be that God is hungering for our time together way more than we are. We can get caught up in deadlines, word counts and posts to be set to drop that we forget to keep God in the very thing He’s called us to do. Write. Do we include Him? Hopefully we are writing FOR Him, but are we writing WITH Him? Ouch. I’m feeling a little guilt myself on this one. Sometimes having what some may call a writer’s block may be the very thing we need. Instead of complaining when we have silence in our writing—or writer’s block—we can learn or train ourselves to use this as a tool in our writing life. Don’t let doubt creep in when the words just don’t come. We are still writers. Instead, let’s let God use the silence for our good. Better yet, for His good. We’d love to hear some of your ideas on ways you’ve learned to take the Writer’s Silence and use it for your good in your writing life. You’ll find Tammy seeing humor and causing laughter in every aspect of life. Her past, filled with bullying and criticism from family, is the driving force of her passion to always encourage others and give them The Reason to smile. She’s been married to her college sweetheart, Larry, for 37 years, a mom to their grown daughter, Kristen and wrapped around the paw of a little dog named Hattie. Born and raised in Ohio, her family now resides in South Carolina. She is the President of Word Weavers Upstate SC, member of ACFW and member of My Book Therapy/Novel Academy. She’s the Blog Coordinator/Editor for Florida Christian Writers Conference. She was a contributor in the 2018 Divine Moments Compilation Book—Cool-inary Moments. She’s been a contributor to several other blogs. 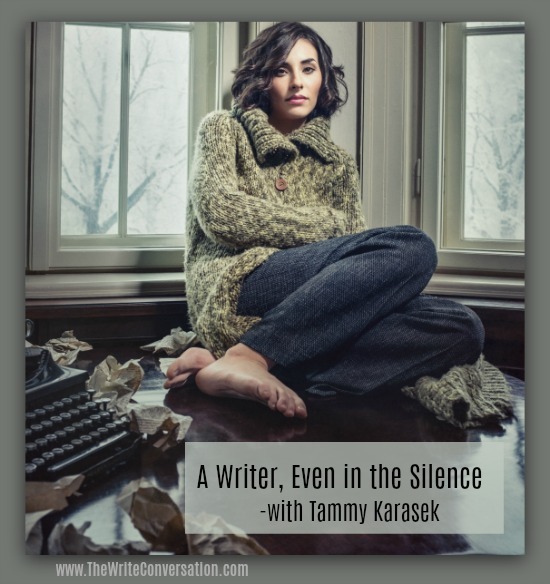 Connect with Tammy on her blog, http://www.tammykarasek.com, through Twitter and Facebook. Welcome Ms. Tammy. Honored to have the opportunity to learn from/with you. I use silence as a chance to recharge and ask God to fill my "down time" with what I need for the next step in my journey. God's blessings ma'am. Thank you, Jim! I'm glad to be here with all of you. Thanks, Jim! I'm glad to be here with all of you. Love this post Tammy. Thank you for the specific suggestions. I am learning to value silence and waiting not as wasted moments, but if I am aware and alert to see they have value. Thank you, Marilyn. The silence has been hard for me in the past, but I'm finding the value in it like you mentioned. What a great post, Tammy. And I absolutely love this picture of total surrender and asking the Lord for help, "Take a moment to do what I call Get Prone before the Throne. I turn off any noise and lie down on the floor in my office. Then I pour it all out to God." "Prone before the Throne!" I love the phrase, Tammy and I need to put it into action more often. I think best when I take a walk, but I look forward to implementing your other two strategies also. Thanks for sharing your wisdom with us. Tammy, thank you for your wise advice about those silent times. You reminded me to allow them to be fruitful rather than frustrating.